The English Department of Nizam College is as old as the college itself, being one of the first departments to start functioning in 1880. The department has been handling English language classes for the various courses offered by the college since the days of its inception. The strength of the department lies in the well qualified teaching staff and their research oriented approach to academics. 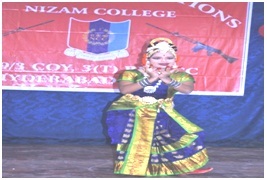 In the initial years, only Intermediate and Undergraduate classes were conducted in the college. The Intermediate classes, however, were discontinued in the 1960 s.From then, till today, the Department has been responsible for the teaching of English for the Degree courses. The fact to be noted is the way the Department has moved with the times in reviewing its syllabi and updating its pedagogical tools and strategies from time to time. 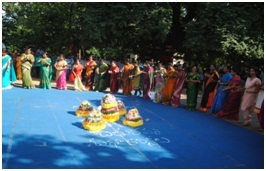 The conferment of Autonomy to the college in 1988-1989 provided the academic freedom to the department to frame its own syllabi for General English that is taught through four semesters of B.A, B.Sc., and B.com Courses; and for the Modern Language Optional through three years of the B.A, course. The review of the syllabi for the under graduate courses is a continuous process and the Board of Studies constituted by the Department is the supervising and ratifying body that meets annually for the purpose. The college has also adopted the semester system of teaching and evaluation. The department is proud to state that since the academic year of 2005-6 has embarked on preparation of teaching material for undergraduate General English course in short story and Poetry in semester I, Prose and Drama in semester II. The emphasis is on Listening, Reading, and Writing skills besides Pronunciation. 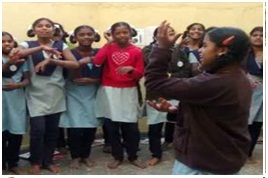 The main thrust of the syllabus is on Communication and Personality Development through activity based skills testing their creative abilities. The feedback is duly conducted and results recorded. In the near future the department also hopes to go in for publication of the material. In addition, the department also introduced examination reform by introducing a new method of evaluation blending the language component with text based questions. This type it is felt would test a students ability to comprehend and offer inferential answers. 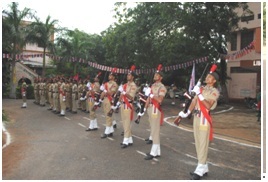 Postgraduate classes were started in the college from 1975. The department continues to engage classes for M.A. English for which, the syllabus comprises twenty courses through four semesters. All matters pertaining to the Postgraduate courses offered by the constituent colleges of the University are handled by a centralized academic and evaluative monitoring system in consultation with the individual departments. For the last five years, the department has been handling the English and Soft Skills components for M.Sc IS course being offered by the college and this year it started handling General English course also for the newly started 5- year Integrated course in Law and English skills for Health care course. The department in collaboration with the department of Commerce had last year conducted a three week course in Communication Skills and Professional Competence. Recognizing the need for equipping our students of M.A Program who all aspire to be teachers in English, the department started a course in Soft Skills and Communication skills in the afternoons to prepare them for future career in teaching. Remedial courses are being conducted for the students who are weak in English Language. The department offers a self-financing course in Spoken English and Communicative English through its English Language Teaching Cell. This is done in the form of two special courses through the year and caters to both students of the college as well as to outsiders. The classes for these courses are held in the afternoons. I, Dr. Melissa Helen , an alumni of Central University of Hyderabad (M.A. 1989), and Osmania University ( Ph. D. 2006), and EFLU ( PGDTE1990) joined the Department of English, Osmania University in 2013. My long and illustrious career that started in 1990 include several prestigious institutions, including CBIT, HCU and GITAM University. I was also a guest faculty for the IIT-Hyderabad in the year of its inception. Teaching for more than 25 years, I have gained expertise in ELT, Literature and Soft Skills. Serving in various capacities in a number of committees including Board of Studies, has enabled me to develop good administrative skills as well academic insights. African American Literature, Indian Writing in English, Women’s Writing and Literature of the Marginalized groups are my areas of research interest. I am currently doing a Minor Research Project sanctioned by the UGC in 2017 on Designing Course Material to impart and enhance the Communication Skills of Telugu medium students from the rural area studying at Nizam College- Hyderabad. Besides publishing a book, Black Feminist Drama: Origin And Growth, 2010, I have also 17 publications( sole-authorship) in several journals and books. Being active on the circuit of Conferences, I have presented papers in 19 International Conferences, and 12 National Conferences. I have been involved in developing content for both the print and the electronic media. In addition to the contribution to the UG textbooks at Osmania University, I have contributed to UGC epgpathsala and BA honors modules and other materials. I have been an external faculty examiner both in setting paper, evaluation as well as Ph. D. adjudicator for EFLU, ANU and other Universities. I am also a British Council BEC trainer. 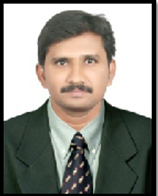 Dr. Mrudula Lakkaraju is an alumnus of Osmania University, topping the university in MA (English) in years 1994-1996. She pursued Post Graduate Diploma in English Studies (PGDES) from EFLU (Formerly CIEFL). She registered for PhD under the supervisor ship of Professor Rama Nair in ‘Postcolonial Literature’. The title of her PhD dissertation is ‘The Concept of Self Identity in Select Fiction of Achebe, Soyinka and Coetzee’. She was awarded PhD in October 2009. She started her career at Vijay Rural Engineering College in 1998 and continued there as an assistant professor until 2006. In 2006, she joined Geethanjali College of Engineering and Technology and served the Institution in the capacity of Associate Professor, In charge, Training and Placements, In charge, Cultural committee and Coordinator, Entrepreneurship Cell till 2012. 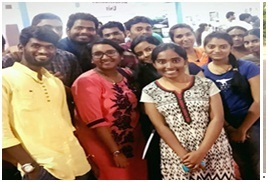 From 2012 to 2013, she worked as a professor at Narayana Institution of Civil Services, a flagship enterprise, under the direction of Mr. A K Mohanty in designing a course for Civil Services Aspirants. She has founded an International Journal of English: Literature, Language and Skills with ISSN 22780742. It has a strong International presence with subscriber base of 6000 and articles from USA, Canada, Malaysia, Nepal, Yemen, Oman, Bangladesh and some other countries. The journal is in its 7th year of publishing with 25 regular issues and 8 special issues. She has presented 18 papers in International conferences, 9 papers in National Conferences and 27 papers published in various journals. She also contributed nearly 30 articles to Trainers Forum, a national group of trainers with more than 5000 members. She has conducted 20 workshops as a resource person and has attended workshops for professional development. She has completed a 3 month online course on research methodology from CCRM and has secured a silver medal. She prefers the designation of a trainer and a writer. She has presented several academic articles to international and national seminars, conferences, journals, and magazines. Casual and creative writing is also her forte. She is a prolific reader and writer. Her areas of interest are Post colonial Literature, Gender Studies, Film Studies, English Language Teaching, Contemporary Literature and Communication Skills. 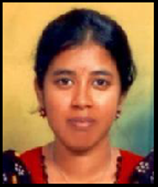 Dr. Anumula Sreedevi is an Assistant Professor of English at Osmania University, Hyderabad. She specializes in American and African American literatures, especially that of the Harlem Renaissance period. She teaches poetry, drama of Renaissance and Romantic period she has so far published 12 articles in various national journals. She had been on a minor project at OUCIP updating the library holdings. She was a NAAC committee member, from 2014 to 2018. She is an adjunct professor at VBIT, Hyderabad, and renders services at various academic and administrative levels. She has chaired sessions at international and national seminars. As the Head of the department of English Nizam College during 2016-18, she had initiated academic courses at UG and PG level. Besides writing and publishing critical essays on English literature, she also writes and published Telugu fiction and poetry and English poetry. Mr. SRINIVAS AMBATI, MA.,PGCTE.,PGDTE(CIEFL).,CSS.,(Ph.D in ELT-OU)., He has been working as an Assistant Professor( C) in the Department of English since December 2000. He is a Coordinator for Equal Opportunities Cell since October 2013 and coordinates coaching classes for the entry level services for SC/ST/OBC(non-creamy layer) and Minorities as per the UGC guidelines. He arranges classes for Group II services,VRO,VRA examinations , IBPS examinations .And for entrance examinations for Post Graduation courses in collaboration with ELTC. 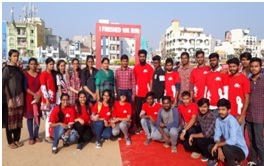 Many participants have joined various state and national services as VROs ,VRAs, Clerks and Probationary Officers in Banking sector after attending these coaching classes. He has been facilitating in conducting Spoken English, Communication Skills for ELTC,Nizam College as a course coordinator for a decade. He has been a facilitator in ELT for general and foreign students (CCFS) at ELTCs of University College of Arts, OU,CELT, PG.College of Secunderabad, PG.College of Saifabad and University College for Women,OU,Koti. He is a subject expert( English) for TSAT Mana TV channel (a Govt. of Telangana channel-Vidya and Nipuna),gave many live- phone in sessions and recorded sessions for Gurukula teachers(TET and TRT). He is also a Resource person for All India Radio-phone in Interactive sessionfor MA English program of IGNOU. He is a Mess Warden for UG and PG Hostels of Nizam College since 2015. He was a General Warden for UG and PG Hostels of NizamCollege ,20132014. He was a Placement and Training Officerfor Nizam College in 2015 with an additional charge. He attended several interactive sessions with recruiting bodies to facilitate placement drives for the students of the college. 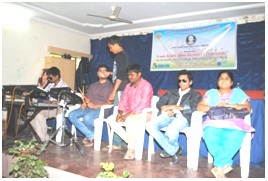 He also offered and conducted career couselling,InterviewSkills,Resume writing sessions by himself. 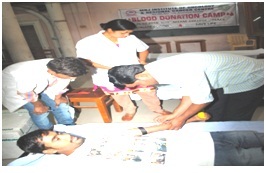 He also facilitated several placement drives in the college for UG and PG students . He served as a Placement and Training Officer for PG College of Law ,OU,Bashirbagh Hyderabad for a period of four years. He is a Resource Person on ELT and Soft skills for various institutions especially for Central Prisons of Cherlapally and Chenchalguda representing Vivekananda Institute of Human Excellence,RamakrishnaMath,Hyderabad. He is a Student counselor for UG General English and ML,MA English ,PGDELT courses of DrBR.Ambedkar Open University, PGRRCDE, and IGNOU for the past one decade. He has produced study material for UG I Year English textbook of Nizam College and for EDCET and ICET for CEDM(Centre for Educational Development of Minorities ) for a decade. 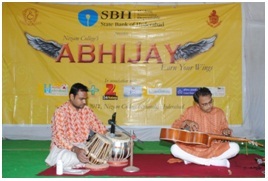 He attended various Regional ,National ,and International Conferences,Workshops and UGC Orientation Course. Conducting JAM sessions,GroupDiscussions,Debates ,Elocution,Public speaking sessions, and Quiz at state level are his ‘forte’. His hobbies include ‘Calligraphy’,’WaterColourPainting’(he holds national award),Pencil Sketching,Philately and Numismatics etc., Students counselling and translation are some of his interests. Dr.D.Parameshwari has been rendering her services to the Dept. of English from the year 2007 till date. Her expertise is in the area of Film and Literature. She has eleven years of teaching experience to her credit handling both U.G &P.G courses. She worked for Baavita pvt ltd as a proof reader. She has also been a content writer for a Course designed for medical students for a private organization. She had been an English Trainer for Axis Pvt Ltd. Her expertise is also in dealing with Law Course, MBA &MCA Soft Skills, Healthcare Course as a teacher. She has a few International and National Papers published in various Journals. A dedicated, committed and hard working teacher. Resourceful and innovative with zeal for teaching students and learning and evolving from the teaching-learning experience. Has over nine years of teaching experience at both Under-graduate and Post-graduate level. Completed Post-graduation in English from Nizam College in 1998. 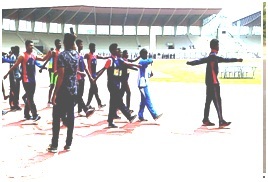 Qualified APSET in November 2013. Enjoys teaching students and looks forward to make a positive impact on them incorporating the spirit of fairness, tolerance and ability to look at diverse perspective about the world we live in. Translates Stories from Marathi and Hindi to English. 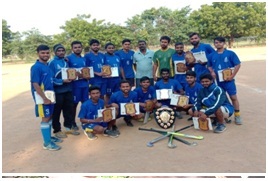 	Dr. K. Kiran, M.A (English), B.Ed., PhD.,SET Working as an Assistant Professor (C) of English, Nizam College, Osmania University, Hyderabad, since 2012. Worked as a Language Trainer in two batches of Remedial Course conducted by Dept. 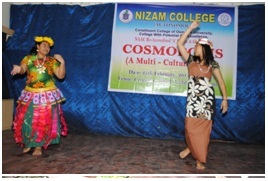 of English, Nizam College, Hyderabad from 28th January to March 5th 2013 and from 21st August to October 6th 2014. Worked as a Language Trainer in Equal Opportunity Cell at Arts College, from the Osmania University from 7th January to 25th February 2013. Worked as a Language Trainer in Sundarya Vignan Kendram, Hyderabad from 6th May to 19th June 2013. Worked as a Soft skills Trainer in Sundarya Vignan Kendram, Hyderabad from 10th July to 28th August 2013. Worked as an Assistant Professor of English in Marri Lakshma Reddy Institute of Technology and Management, Hyderabad from 2010-2012. Worked as an Assistant Professor of English in Malla Reddy Engineering colleges, Hyderabad from 2006-2010. Passionate, Enthusiastic, inspiring, and dedicated lecturer with nine years teaching experience at U G level and five years teaching experience at high school level. Combine strong passion in teaching professional skills and life skills. Motivate and inspire students, while creating a learner-centered and challenging learning environment. Post Graduate from Nizam College, Osmania University and bachelor’s degree in Education (B.Ed) from Kakatiya University. 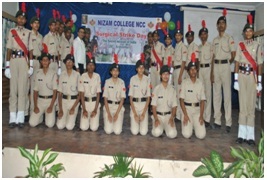 Teaching literature, functional English and soft Skills to the students of BBA and FYIC at Nizam College. Taught communicative English and Soft skills under add- on course program for the arts and Science College students of Osmania University. 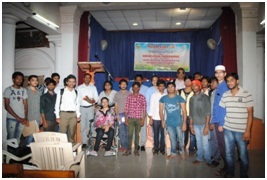 Conducted Communicative English classes for working people, students and home makers at ELTC, Nizam Collage. Played active role as a member of the organizing committee in the national seminar organized by the Department of English, Nizam College. Keen interest in attending national, international seminars and workshops and have five publications in international journals.